One of the best kept secrets in Martinsburg is the Adam Stephen House. I finally discovered it a couple of weeks ago and took advantage of the opportunity to photograph inside the house. 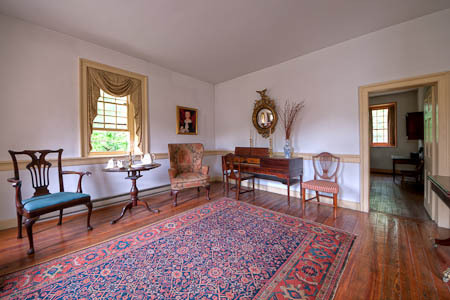 The centerpiece of the parlor is the beautiful mid-18th century pianoforte. While the outside of the house looks nicely restored, I was not prepared for what I found when I stepped through the front door. The interior of the house was not only beautifully restored to its 18th century splendor, the house has been fully furnished with superb period antiques. Aside from being a General in the American Army during the American Revolution, Sephen was a physician. This room is set up to reproduce his physician's office. These images are just the beginning. I will be posting more images from time to time and I expect to be photographing more as I have the opportunity. 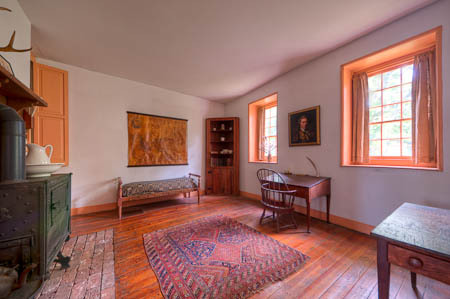 The Adam Stephen House is open Saturday and Sunday from 2-5pm during the summer. If there is any way for you to have the opportunity, I encourage you to drop in and see this place for yourself. ~ by Admin2 on July 1, 2011.